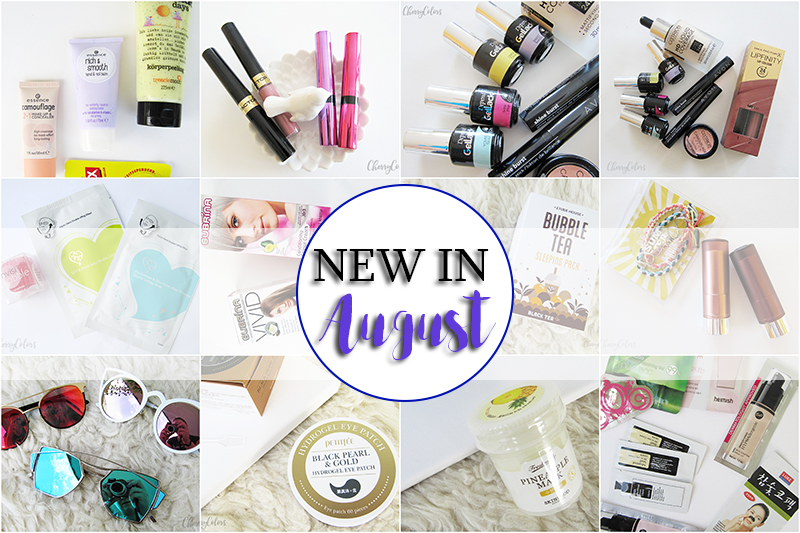 New in: August 2016 - Cherry Colors - Cosmetics Heaven! I really can't believe that August has come to an end. Time does really fly as you get older ;). 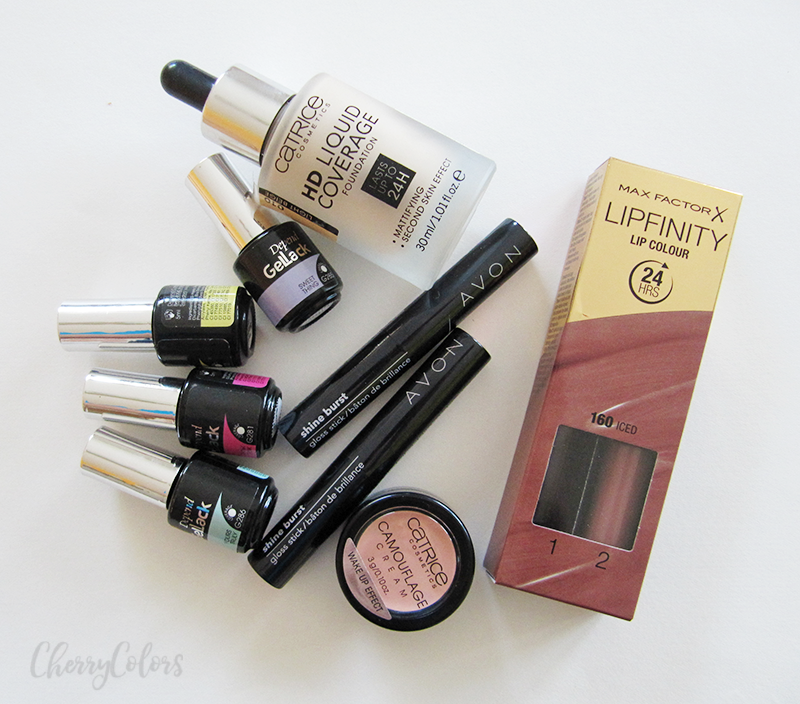 In this month's NEW IN, I'm showing you some goodies I got and bought. I think that most of them were bought, because there weren't many sponsored products this month. I am not sure why, but I didn't mind the break ;). 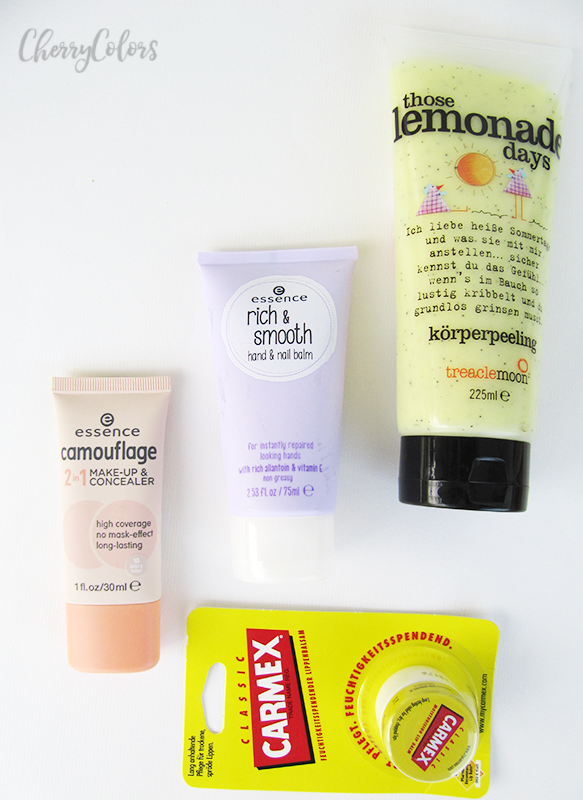 On the first picture there's a mix of products, but later on, I'll show you what is what in different pictures. This was my "I got a joy, I can buy stuff" sort of haul. Catrice HD Liquid Coverage Foundation was on my wish list before it even came out. I am happy I bought it since it quickly became my staple product. Catrice Camouflage Cream in Wake up effect is my go-to under eye concealer that helps me mask my dark circles (lack of sleep, y'all). It reminds me od Skin Food's Salmon concealer which is also nice. I got myself a Max Factor Lipfinity kit in 160 ICED because I remembered them being super long lasting. And they are. Or were to be exact. The formula changed during the years and now they aren't as great as I remember them to be (duh!). I used the kit a couple of times and the first time it stayed the whole day, but the next couple of times it kind of went to hell after half an hour. I also go the color that is the exact shade of my lips. Damn. 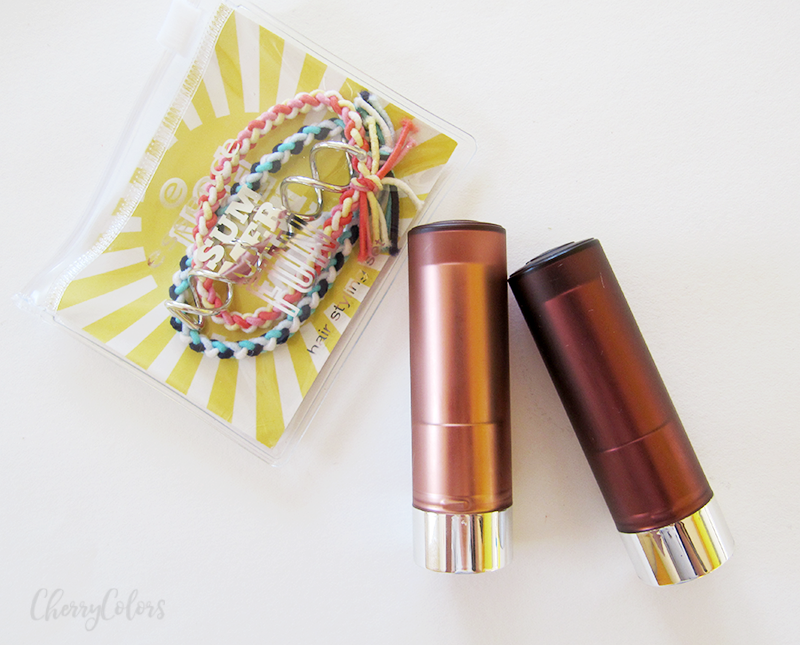 I also got some Avon Shine Burst Lipsticks that have the best packaging ever. Super shiny and pretty. If nothing else, I like them for the packaging. But the formula is pretty good for a shiny lipstick. 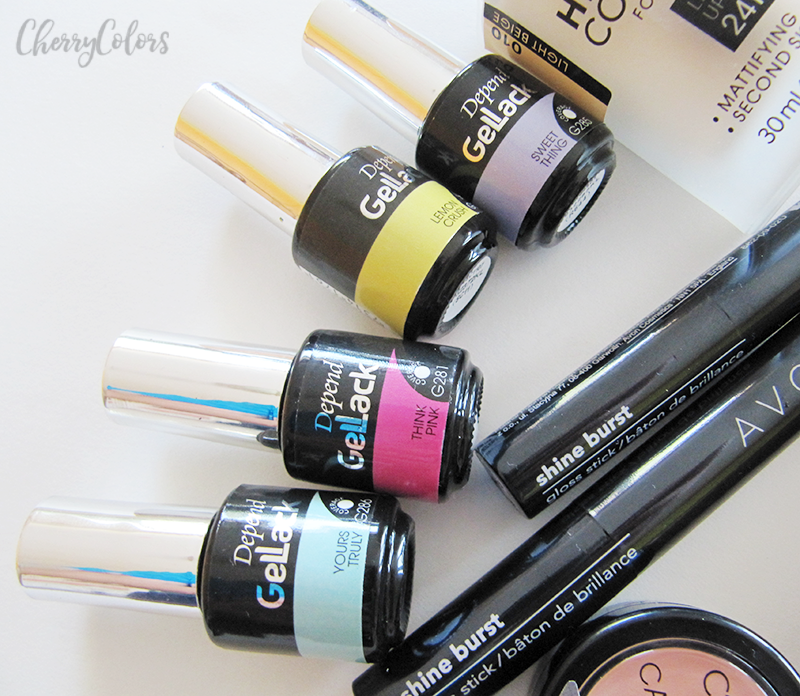 Of course, I had to grab a couple of Depend Gellack polishes from the Spring/Summer 2016 range to add to my ever growing collection of gel polishes. So far I've used 3 out of the 4 colors and two of them (think pink and sweet thing) are on the sheer side and need 3-4 thin layers for full coverage. 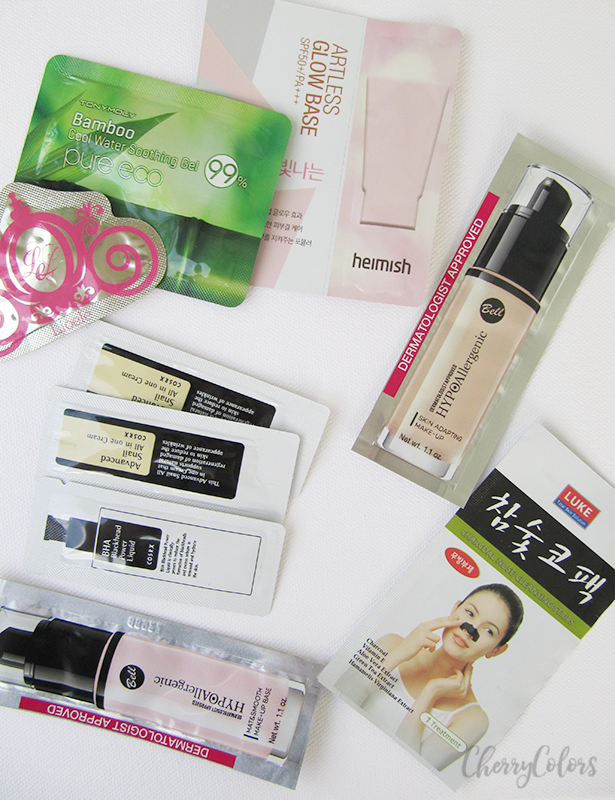 When I'm looking for a quick pampering, I prefer to use sheet masks instead of regular masks. And since we don't have any other brand here, I picked up some My Hoin Ni masks, even if last time I wasn't too happy about them. I also got some Invisibobble hair ties because I can use one for months before it has to be thrown away. I wanted to dye my hair because of the last time the color I used washed out in 4 washes. 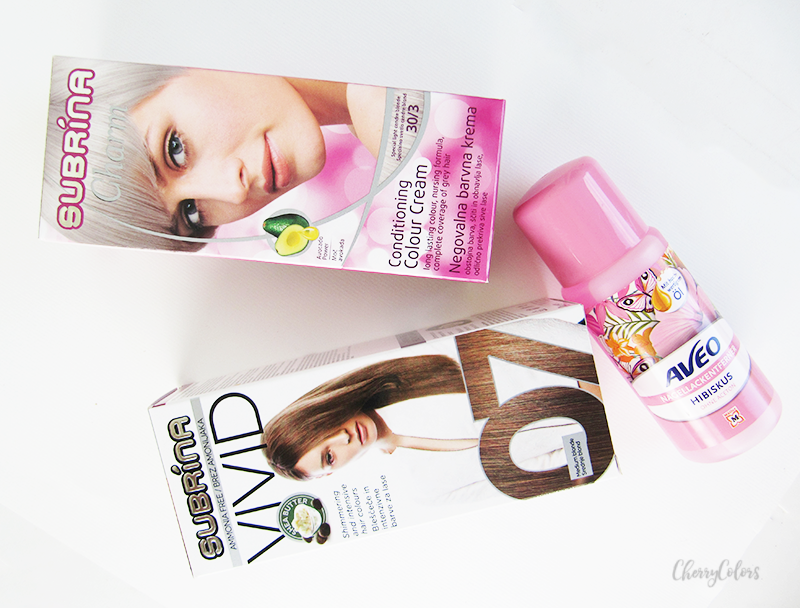 So I picked up these two Subrina's hair dyes and a nail polish remover by Aveno. Sadly I forgot that the 07 dye is the exact same I used two weeks before that got washed out so quickly. Oh well. Next time, right? When I walked in the store with some "money leftover" I saw the new Essence Camouflage foundation that looked really nice (yay for testers in stores!) on my skin, so I picked it up. It didn't disappoint me, that's why you can expect a blog post coming about it, soon. Essence Rich & Smooth Hand & Nail balm is a hand cream that smells of baby products (so nice!) and saved my cuticles. They went from being dry and shreddy to nice, moisturized cuticles. Amazing! The downside is that I'm going through it in no time. But it's cheap, so it's not a problem. Treaclemoon body peeling in Those Lemonade Days is one of the best skin peelings I've tried. Smells delicious and was absolutely inexpensive (3€). It smells fresh, citrus like and does its job very well. At the time I was eyeing the Clinique skin peeling set, but this one seems to be a better alternative. Carmex classic, do I really need to add anything here? Those who follow my empties posts know that I swear by this stuff. I should get sponsored by them, hahaha. I mean, I keep buying this lip balm because it's a lip savior. What happened here? Another "I got a job, I need a treat" sort of haul. 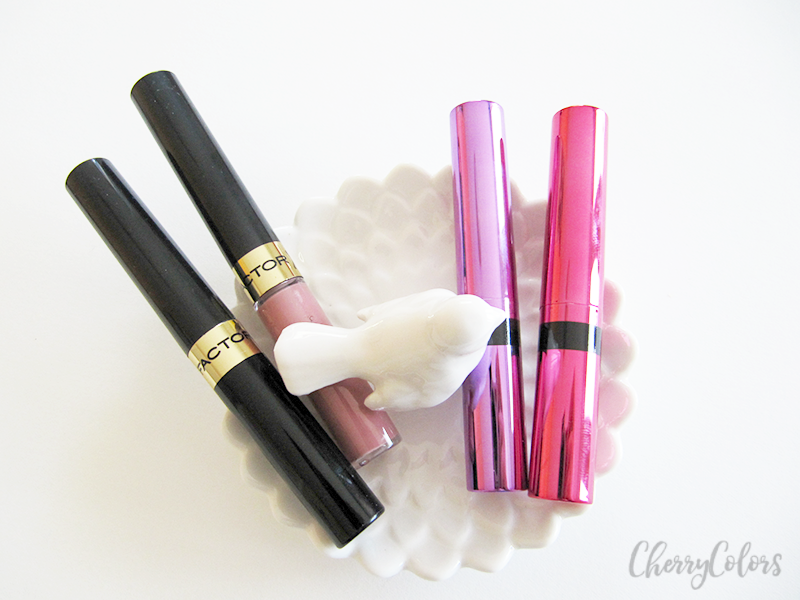 Since I heard only good stuff about the Essence Matt Matt Matt Lipsticks, I got two from their upcoming range. One in color 02 Perfect Match and 08 It's a statement. I also picked up some hair ties and a hair spiral to play with. It's been quite a long time that I've been hearing how awesome a Sleeping mask is. I made some research and found that in order to experience what a true sleeping mask is, I should pick up one of the first items that came out with that name. New newer sleeping masks can be anything from heavy creams to gel creams and thus, in fact, not being a sleeping mask at all except by name. 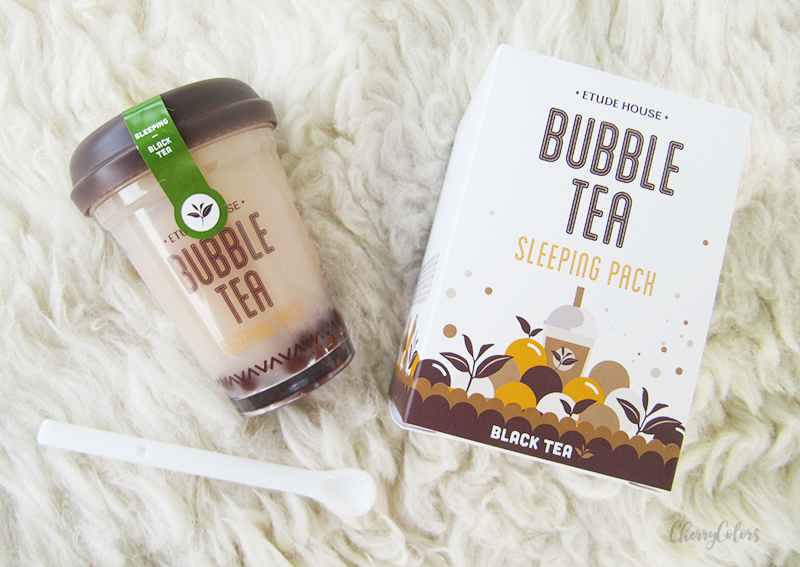 That's why I picked up the Etude House Bubble Tea Sleeping Mask in BLACK TEA. 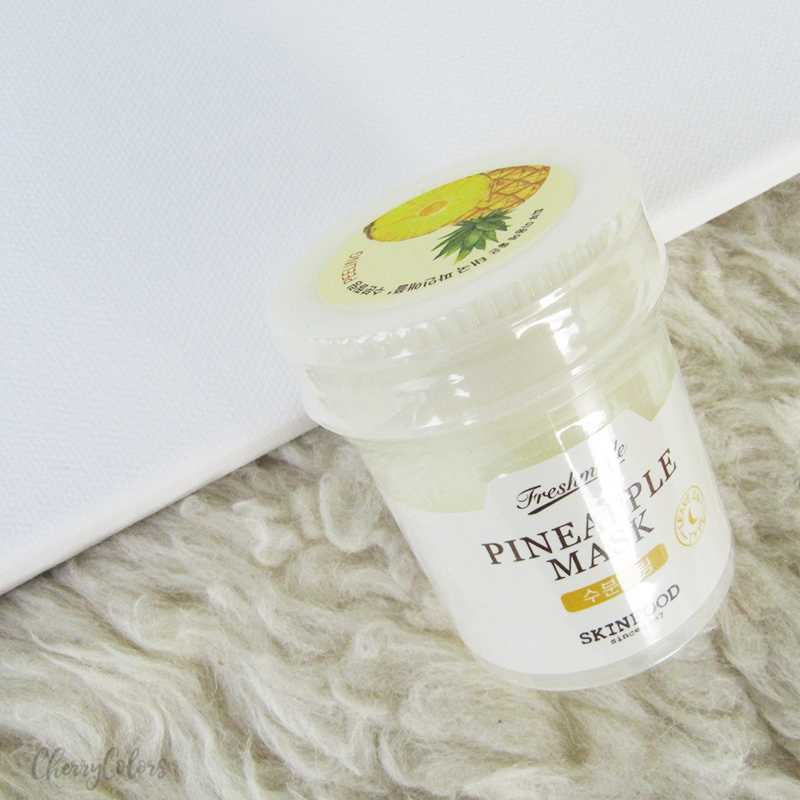 And of course, the Skinfood Pineapple Sleeping Mask which I already tried and like. My skin isn't shiny the next morning and feels super smooth. Great job, sleeping mask! 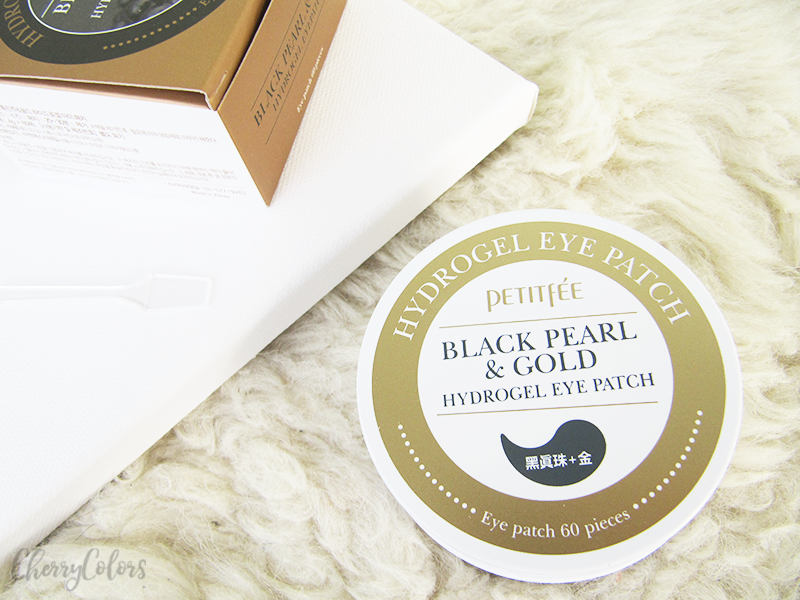 Next in line is PettitFee Black Pearl & Gold Hydrogel Eye Patch which is exactly that. Patches (masks) for your undereye area. There are 60 pieces in the box and the expiring time of the product is only 2 months. I was shocked, but this only means that instead of the box lasting me a year (1x per week), I will use it up in two months. Lot's of pampering time is foreseen because of that. Of course, I couldn't go without samples both from Jolse (they are very generous, thanks!) and from a Bell stand in Mercator. I am excited to try some new products and even more excited to give some samples to co-workers. 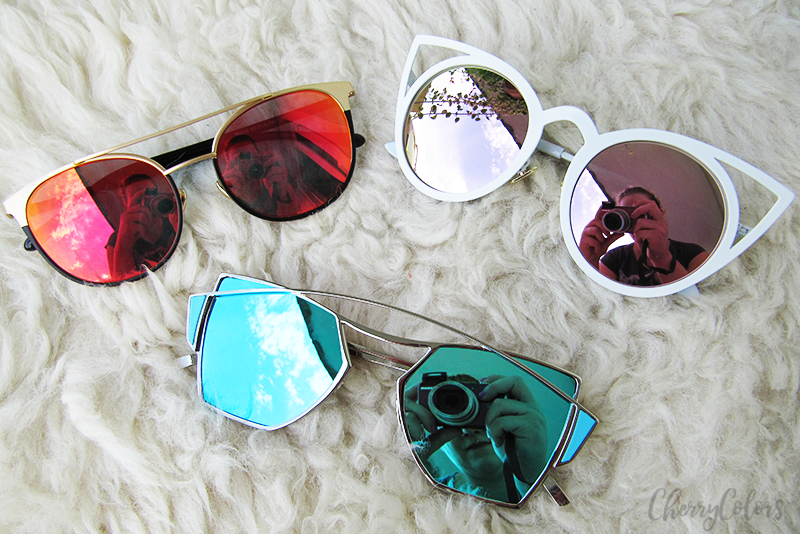 And as the last new in are these glasses I got from Zaful which will get their own post. And also better pictures (without my reflection in them, thankyouverymuch). What do you think of this month's haul?